Scientists say take some action, politicians no reaction. 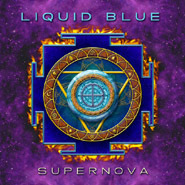 Liquid Blue's album Supernova has no syrupy love songs, no brainless whining, and no heard-it-all-before hip-hop slop. What you do get is songs that challenge you on variety of issues concerning the world today, including political corruption, unjust wars, overpopulation, and environmental degradation. But there's good news! It's all presented against a shimmering backdrop of progressive pop that features a pleasing mix of Eastern and Western instrumentation. So, whether you're in the voting booth with your Walkman or at your computer listening to streaming tunes, check out this cool CD from a hot San Diego band.